Well, I started this post a few hours ago… and then Blab.im happened. So here I am, late Friday night trying to finish it up! This one will probably be short, sweet and to the point! 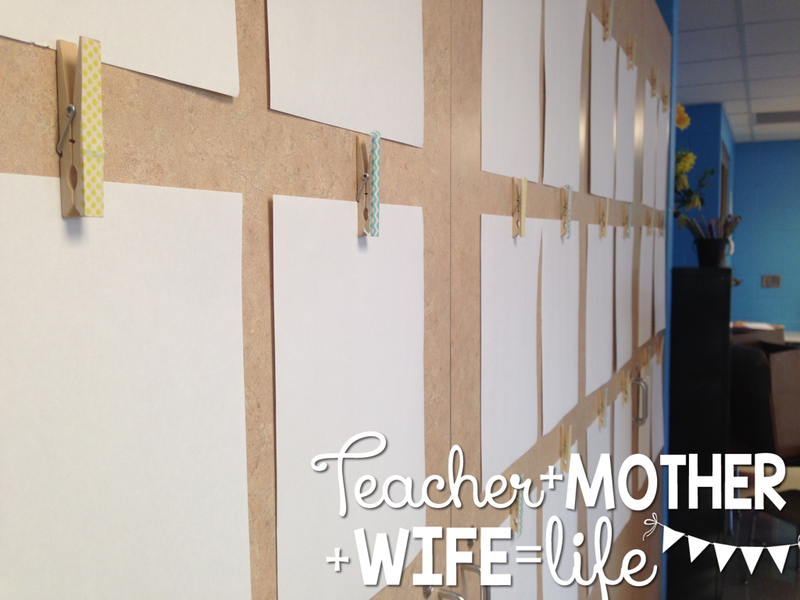 On Sunday I had the pleasure of attending a MOPS retreat to plan this coming year. It is always nice to get a day away from the stresses of motherhood and spend some quality time with other awesome moms, especially as we come up for new ideas for our MOPS group. 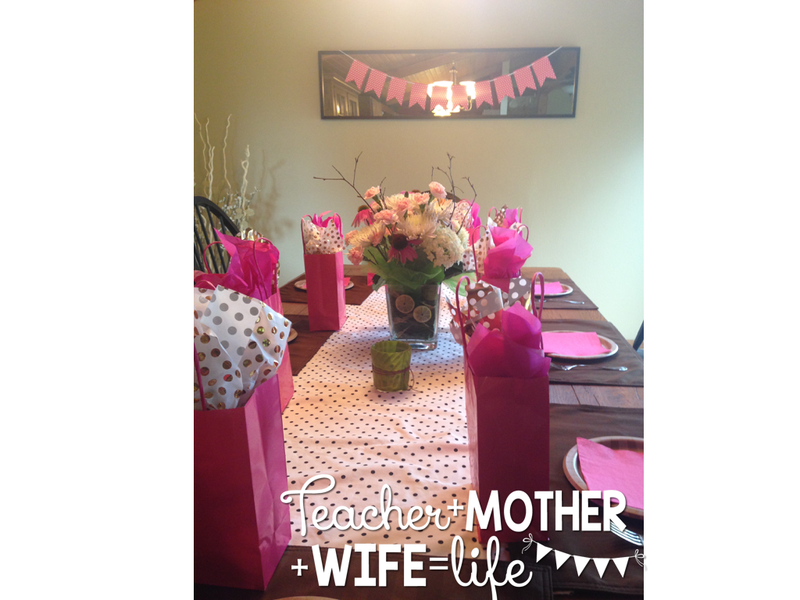 Would you look at this adorable table scape that was created for our luncheon? The best part was that it overlooked a beautiful scenic MN lake. No detail was left out! 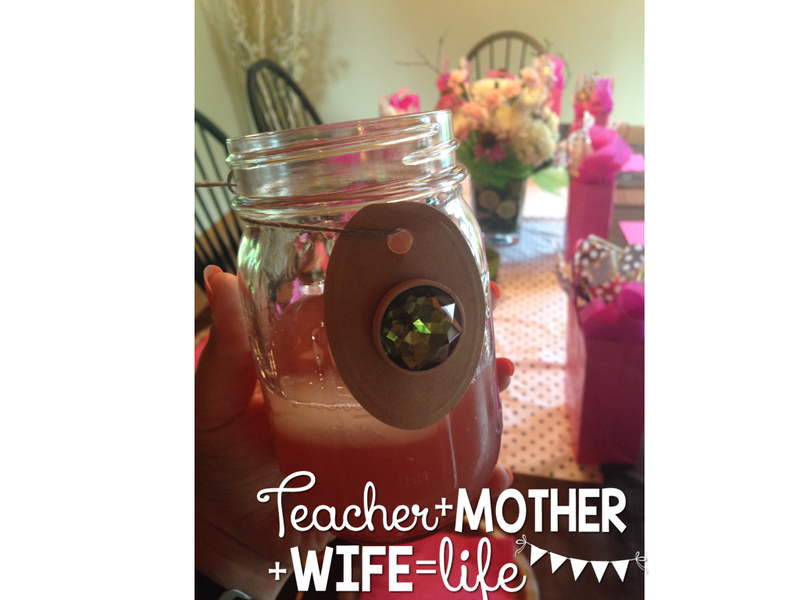 I loved our rustic mason jar glasses and drink charms! 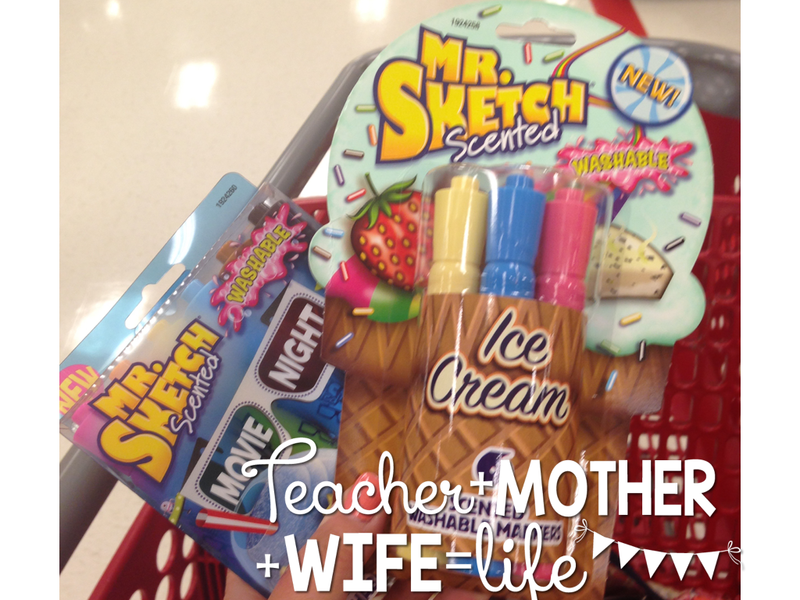 I snagged these babies this week… and immediately made several new teachers smell the stinky cheese marker 😉 I’m kinda obsessed with all of them… especially the nacho cheese one lol. Being a teachers kid means helping in the classroom over the summer. I thought we would make it some special “back to school” time and treated us to breakfast! She was pretty excited about it! 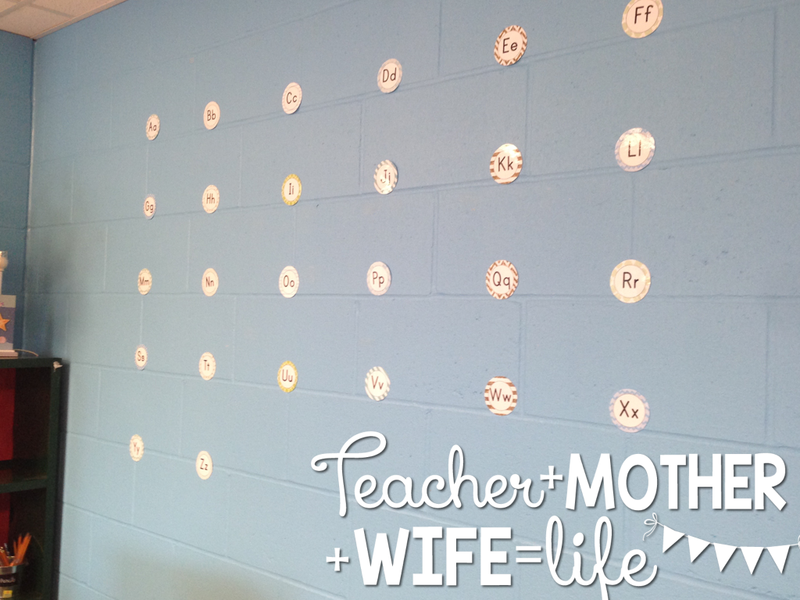 And last but not least… I’ve finally made some progress on my classroom this week! Dusted off the old laminating machine and started getting my seafoam green decor ready! Got my word wall up- loving how it looks in person! The best moment was realizing that I had a whole bunch of washi taped decor that matched my theme for this year! Here is my display for student work! I’m LOVING how my sink area looks! 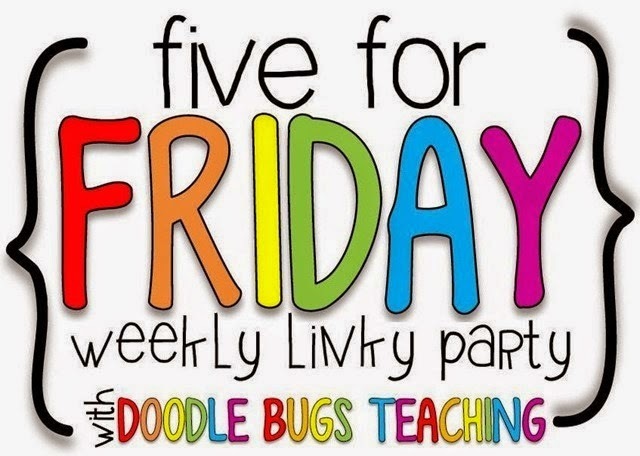 This week will be full of a lot of PD and trying to get my room in order- I’m sure I’ll be stressed to the max! We have 2 more weeks until school starts and there is a lot to be done. I hope that all your back to school festivities are going well! 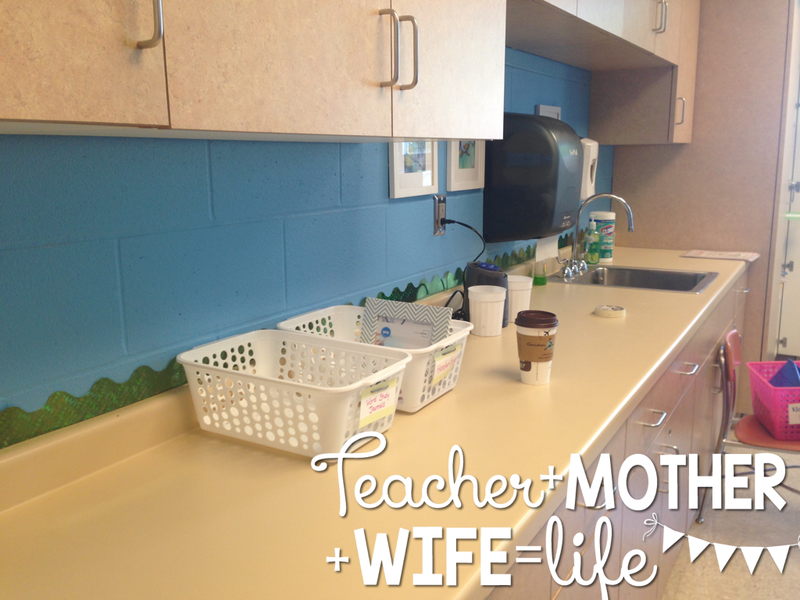 Oh the life of a teacher's kid! My kids were cutting out laminated things all week! The breakfast looks fun! I'm so thankful for the MOPS group in our town. They leave little treats in the teachers' lounge with kind letters letting us know they're praying for us. 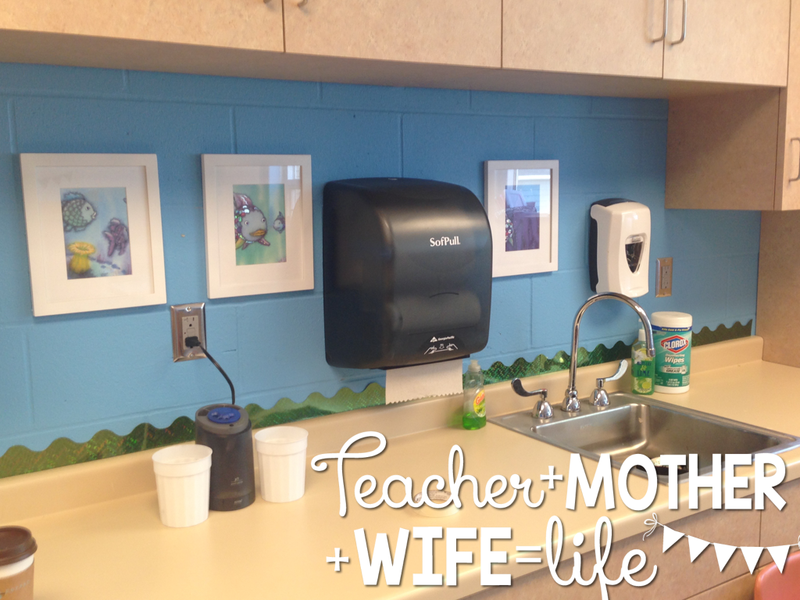 My kids love to come to school, and I'm so glad. They help some, but they mostly just read and play with blocks and indoor recess toys. Your room is looking great! Sure looks like you had a fun and productive week! 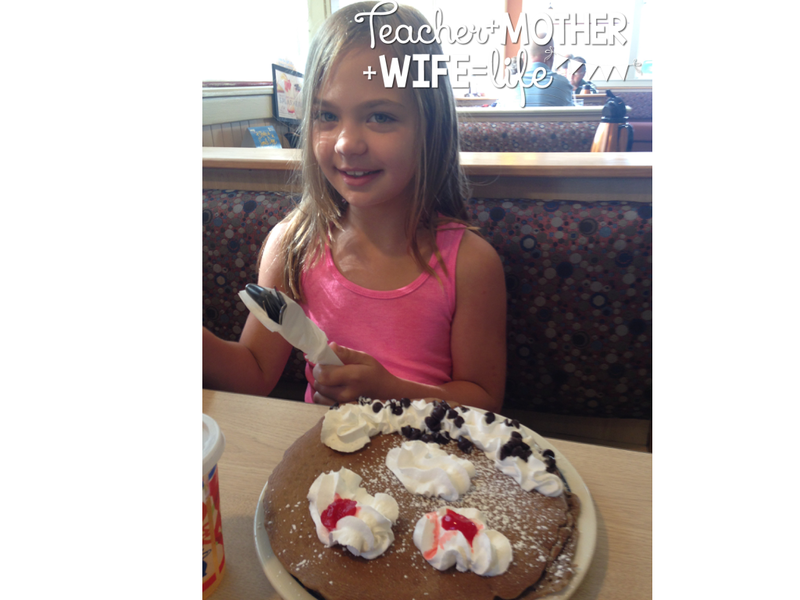 🙂 Being a teacher's kid can't be so bad with incentives like that yummy pancake stack! Hi Lindsey! Thought I'd stop on over to your blog:) Your daughter is adorable! 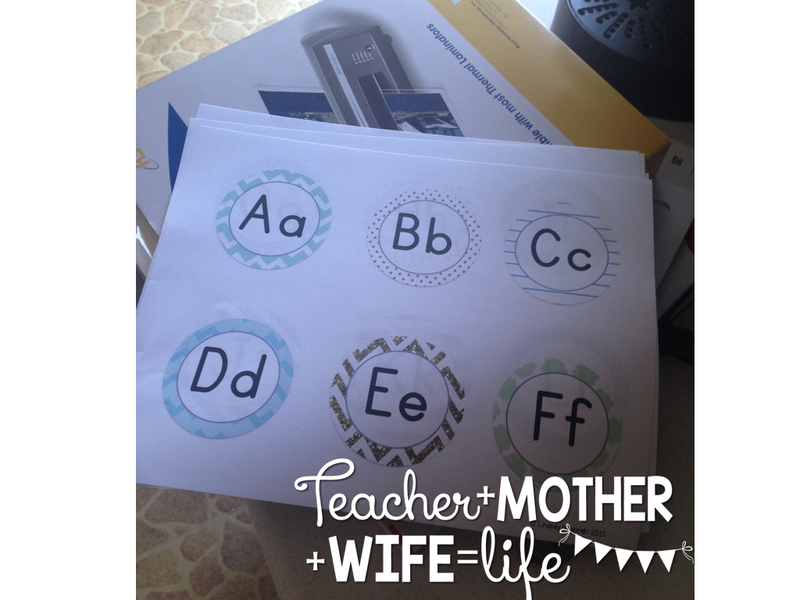 I have a one-year-old and can't wait until she's old enough to come and help in the classroom, but I definitely want to treasure her baby days too, being a mom is so conflicting, lol!